The BOJ presser was held earlier, but that was a dud and so the yen just shrugged it off. And since there wasn’t anything else major on the docket, price action ended up being choppy on most pairs. The Greenback, for intance, steadied after yesterday’s major gains. Commodities were in retreat, however, and the comdolls (AUD, NZD, CAD) were apparently taking directional cues from that since the comdolls were mostly weaker during the session. Although the Aussie was arguably the only real mover among the three. The BOJ announced earlier during the Asian session that it was maintaining its current monetary policy, which didn’t really surprise anybody. Even the yen didn’t react all that much. Anyhow, BOJ Shogun Kuroda had a presser just before the morning London session opened. And, well, Kuroda didn’t really say anything new or surprising since he said that the Japan still has a long way to go to reach the BOJ’s 2% inflation target because of the persistent deflationary mindset in Japan, which results in lower inflation expectations, which then have a dampening effect on actual inflation since Japanese companies are less willing to pay higher wages and are wary of raising prices too much. By the way, Forex Gump has a write-up on the most recent BOJ and FOMC statements, if you want more of the details. You can read it here, if you’re interested. According to the final poll from Newshub ahead of this Saturday’s New Zealand general elections, voting intentions for the National Party fell by 1.5% to 45.8% while voting intentions for Labour, National’s main rival, edged 0.5% lower to 37.3%. 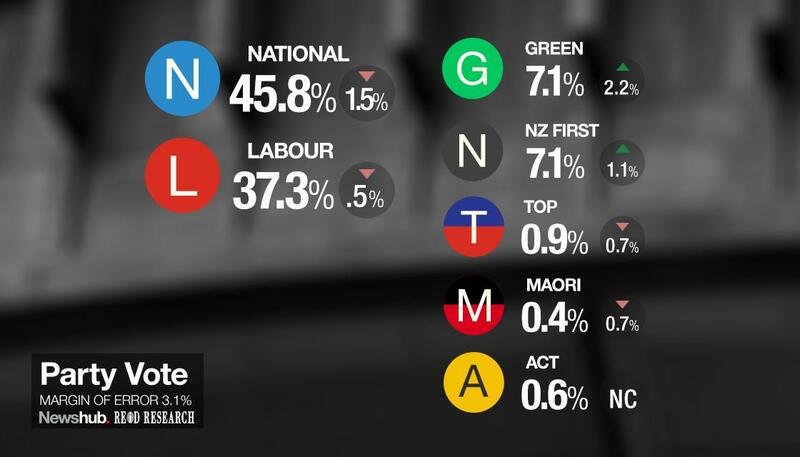 National is still in the lead, but according to Newshub, it is “is teetering in the danger zone” because under New Zealand’s Mixed Member Proportional (MMP) voting, the current voting intentions in favor of National means that National will only be able to secure 56 seats. And it needs to capture at least 62 to form a majority government. In fact, the 7.1% voting intentions for the Green party is a very big risk for National since voting intentions for Labour and the Greens combined translate to roughly 54 seats. In other words, the upcoming New Zealand election is a coin toss, which makes it kinda exciting in a way since National had a substantial lead in the previous elections, which made them non-events. After rallying for the past couple of days, commodities got stomped hard during the earlier Asian session and they only continued to bleed out during today’s morning London session.After rallying for the past couple of days, commodities got stomped hard during the earlier Asian session and they only continued to bleed out during today’s morning London session. Precious metals were down hard. Base metals got a good beating. The Greenback surged in the wake of yesterday’s FOMC statement and market analysts were quite naturally blaming the broad-based commodities rout on that. After all, a stronger dollar means commodities become relatively more expensive to buy, especially if the buyer is holding another currency. The Greenback was actually mixed for the session, but it did extend its gains a bit since yesterday’s FOMC statement. And just for reference, the U.S. dollar index was up by 0.12% to 92.33 for the day when the morning London session ended. The major European equity indices were glowing gamma green during today’s morning London session, which means that risk-taking was the name of the game. And according to market analysts, the risk-on vibes during the session stemmed largely from higher demand for banking shares after yesterday’s FOMC statement caused rate hike expectations to climb. After all, banks tend to profit more from a higher interest rate environment. Price action was kinda choppy, but the comdolls (AUD, NZD, CAD) were broadly weaker during today’s morning London session. The Aussie was especially weak, though.